This week in our series, Larry West and Tony Riggs continue the story of President Woodrow Wilson. LARRY WEST: In nineteen seventeen, Europe was at war. It was the conflict known as World War One. After three years of fighting, Europe's lands were filled with the sights and sounds of death. 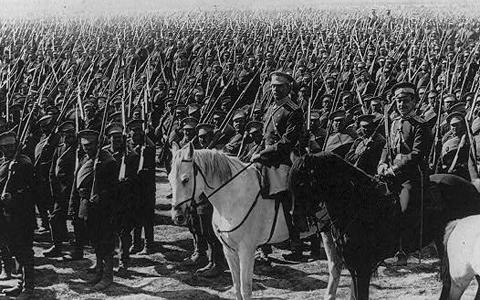 But still, the armies of the Allies and the Central Powers continued to fight. The United States had tried to keep out of the European conflict. It declared its neutrality. In the end, however, neutrality was impossible. Germany was facing starvation because of a British naval blockade. To break the blockade, German submarines attacked any ship that sailed to Europe. That included ships from neutral nations like the United States. The German submarines sank several American ships. Many innocent people were killed. TONY RIGGS: German submarine attacks finally forced the United States into the war. It joined the Allies: Britain, France, and Russia. Like most Americans, President Wilson did not want war. But he had no choice. Sadly, he asked Congress for a declaration of war. Congress approved the declaration on April sixth, nineteen seventeen. It was not long before American soldiers reached the European continent. They marched in a parade through the streets of Paris. The people of France gave them a wild welcome. They cheered the young Americans. They threw flowers at the soldiers and kissed them. LARRY WEST: The Americans marched to the burial place of the Marquis de Lafayette. Lafayette was the French military leader who had come to America's aid during its war of independence from Britain. 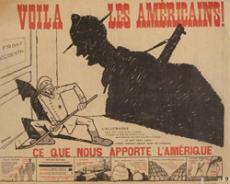 The United States wanted to repay France for its help more than a hundred years earlier. An American Army officer made a speech at the tomb. He said: "Lafayette, we are here!" TONY RIGGS: And so the Americans were there. They were ready to fight in the bloodiest war the world had ever known. Week by week, more American troops arrived. By October, nineteen seventeen, the American army in Europe totaled one hundred thousand men. The leader of that army was General John J. Pershing. 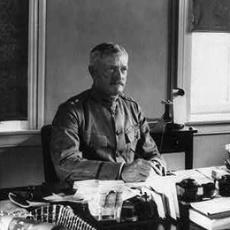 Pershing's forces were not sent directly into battle. Instead, they spent time training, building bases, and preparing supplies. Then a small group was sent to the border between Switzerland and Germany. The Americans fought a short but bitter battle there against German forces. The Germans knew the American soldiers had not fought before. They tried to frighten the Americans by waving their knives and guns in a fierce attack. The Americans surprised the Germans. They stood and fought back successfully. LARRY WEST: Full American participation in the fighting did not come for several months. It came only after another event took place. That event changed the war and the history of the Twentieth Century. It was the Bolshevik Revolution in Russia. Its leader was Vladimir Lenin. The Russian Revolution began in the spring of nineteen seventeen. The people of that country were tired of fighting Germany. And they were tired of their ruler, Czar Nicholas. The Czar was overthrown. A temporary government was established. It was headed by Alexander Kerenski. President Woodrow Wilson sent a team of American officials to Russia to help Kerenski's new government. The officials urged Russia to remain in the war. TONY RIGGS: Under Kerenski, Russia did keep fighting. But it continued to suffer terrible losses. Many Russians demanded an end to the war. Lenin saw this opposition as a way to gain control of the government. So he went to the city of Petrograd. There, he led the opposition to the war and to Kerenski. Night after night, he spoke to big crowds. "What do you get from war." He shouted. "Only wounds, hunger and death!" Lenin promised peace under Bolshevik Communism. Within a few months, he won control of the Petrograd Soviet. That was an organization of workers and soldiers. Another Bolshevik Communist, Leon Trotsky, controlled the Soviet in Moscow. LARRY WEST: Kerenski's government continued to do badly in the war. More and more Russian soldiers lost hope. Many fled the army. Others stayed. But they refused to fight. The end came in November, nineteen seventeen. Soldiers in Petrograd turned against Kerenski. Lenin ordered them to rebel. And he took control of the government within forty-eight hours. Russia was now a Communist nation. As promised, Lenin called for peace. So Russia signed its own peace treaty with Germany. The treaty forced Russia to pay a high price for its part in the war. It had to give up a third of its farmland, half of its industry, and ninety percent of its coal mines. It also lost a third of its population. Still, it did not have real peace with Germany. TONY RIGGS: The treaty between Russia and Germany had a powerful influence on the military situation in the rest of Europe. Now, Germany no longer had to fight an enemy on two fronts. Its eastern border was quiet suddenly. It could aim all its forces against Britain, France, and the other Allies on its western border. Germany had suffered terrible losses during four years of war. Many of its soldiers had been killed. And many of its civilians had come close to starving, because of the British naval blockade. Yet Germany's leaders still hoped to win. They decided to launch a major attack. They knew they had to act quickly, before the United States could send more troops to help the Allies. LARRY WEST: German military leaders decided to break through the long battle line that divided most of central Europe. They planned to strike first at the north end of the line. British troops held that area. The Germans would push the British off the continent and back across the English Channel. Then they would turn all their strength on France. When France was defeated, Germany would be victorious. The campaign opened in March, nineteen eighteen. German forces attacked British soldiers near Amiens, France. The Germans had six thousand pieces of artillery. The British troops fought hard, but could not stop the Germans. They were pushed back fifty kilometers. The attack stopped for about a week. TONY RIGGS: Then the Germans struck again. This time, their target was Ypres, Belgium. The second attack was so successful it seemed the Germans might push the British all the way back to the sea. The British commander, Field Marshal Douglas Haig, ordered his men not to withdraw. Haig said: "There is no other course open to us, but to fight it out." The British fought hard and stopped the attack. Losses on both sides were extremely high. Yet the Germans continued with their plan. LARRY WEST: Their next attack was northeast of Paris in May. This time, they broke the Allied line easily and rushed toward Paris. The German Army chief, General Erich Ludendorff, tried to capture the French capital without waiting to strengthen his forces. He got close enough to shell the city. The French government prepared to flee. Allied military leaders rushed more troops to the area. The new force included two big groups of American marines. TONY RIGGS: The heaviest fighting was outside Paris at a place called Belleau Wood. 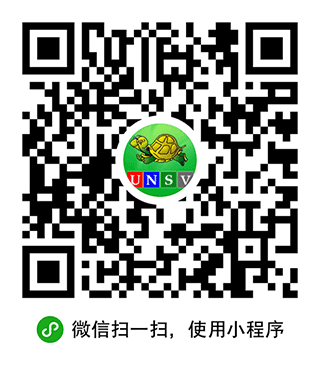 The American Marines were advised to prepare for a possible withdrawal. One Marine said: "Withdraw? We just got here!" The Marines resisted as the Germans attacked Allied lines in Belleau Wood again and again. Then they attacked the German lines. 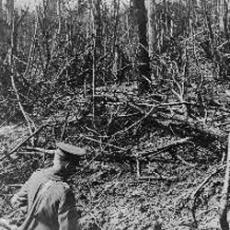 The Battle for Belleau Wood lasted three weeks. It was the most serious German offensive of the war. The Germans lost. We will continue our story of World War One next week. Our program was written by Frank Beardsley. The narrators were Larry West and Tony Riggs.